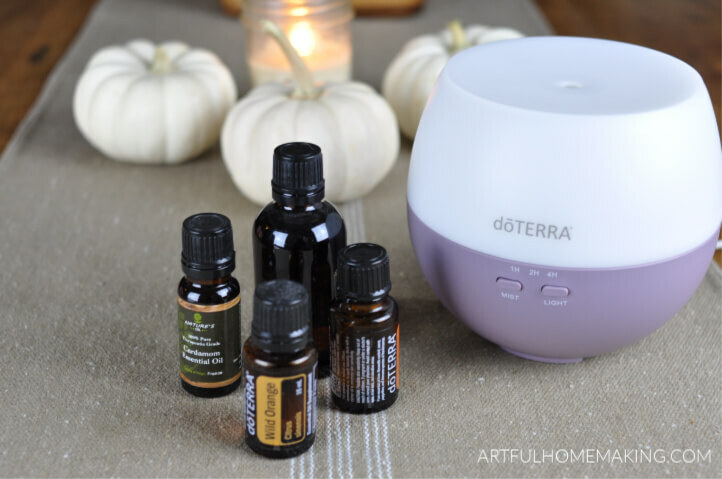 I love using fall essential oil diffuser blends to give our home a warm and cozy scent! I also love that essential oils are much more natural than artificial fragrances. 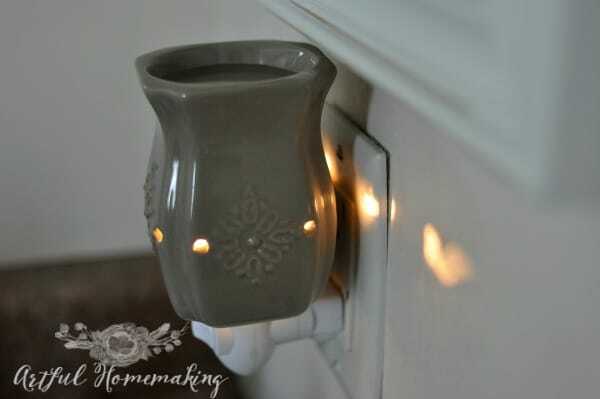 One of the quickest ways to bring a cozy atmosphere into your home is to make sure it smells nice! I love lighting scented candles all year (especially my homemade soy candles). Even though I love candles, I also love using my essential oil diffuser. 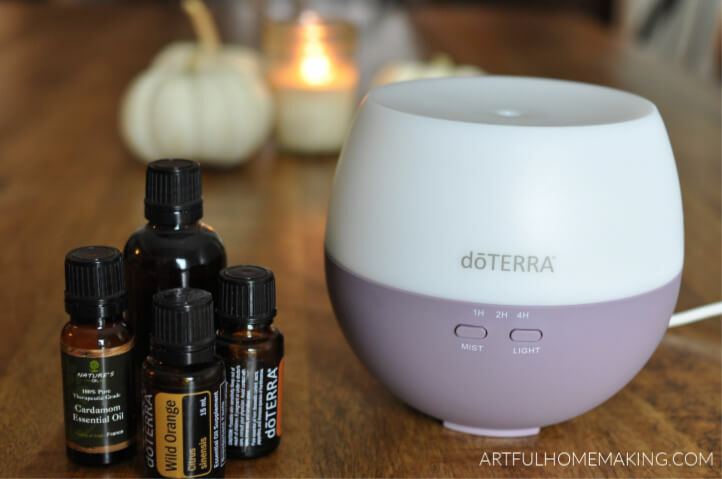 If you’d rather not use artificial scents in your home, using an essential oil diffuser is another way to enjoy the scents of fall! 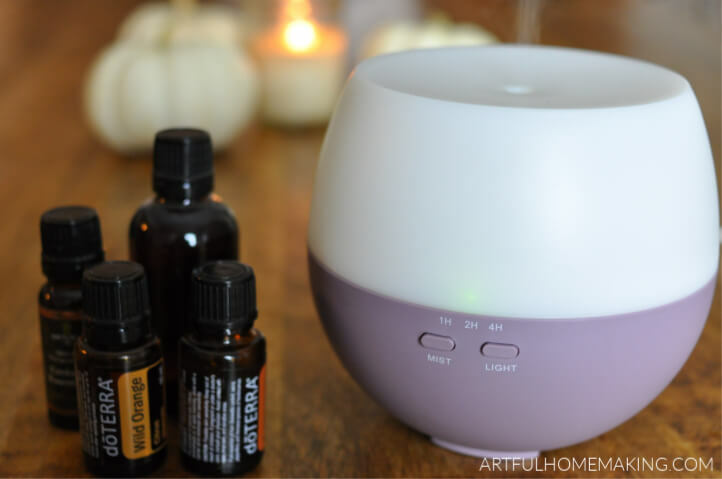 We love using our essential oil diffuser (find one here), but recently I decided to try these blends in a wax warmer (I got this one for my birthday). And it works! All you need to do is fill the top part with a bit of water, add your essential oils, and turn it on. You do need to make sure that all the water doesn’t evaporate, but I just checked it whenever I walked by, so that part wasn’t complicated. I did notice that the scent wasn’t as strong as using the usual scented wax. It seems to work best in a smaller room (like a bathroom). But if you’re concerned about inhaling chemical scents, this might be something worth trying. The scent of these blends is stronger when using a diffuser. But the wax warmer is cozy and fun to use also (in a small area)! 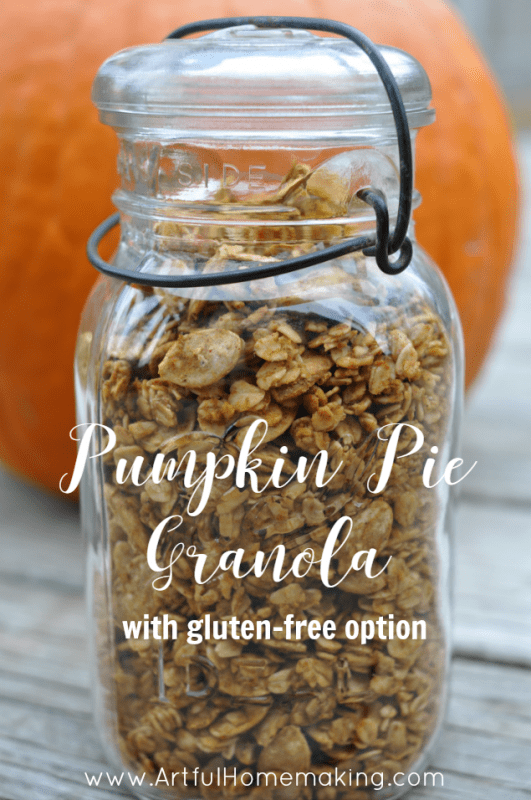 If you’re looking for another way to make your home smell delicious, you might want to give this pumpkin pie granola recipe a try! 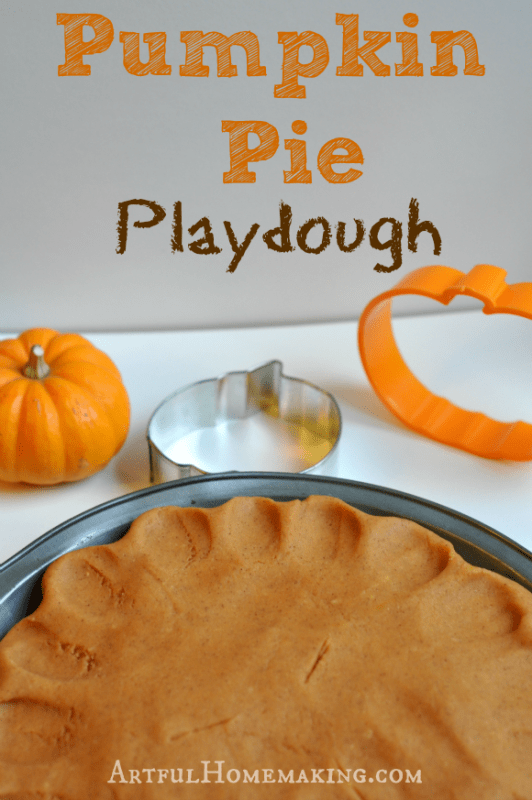 Your kids might love this pumpkin pie playdough! These blends are really versatile, so often you can skip one (if you don’t have it on hand) and it will still smell great! I like having the oils listed out this way – by season and smell. I have a very small oil collection that we use mostly when someone is congested or coughing. I haven’t gotten into using them to get the house smelling good yet. It’s something that’s on my list. Lol. Thank you for sharing with us at #LiveLifeWell. I can’t wait to try some of these blends! Fall blends are my favorite! Hope you enjoy them, Alice! I agree, cinnamon is the best! These look like great essential oil blends. I’ve just ordered some new oils, but it looks like I need a few more if I’m going to try the blends.